Game Audio Implementation offers a unique practical approach to learning all about game audio. 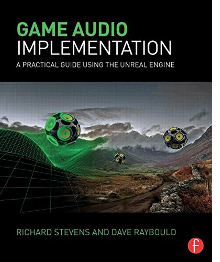 If you’ve always wanted to hear your sound or music in a real game then this is the book for you. Each chapter is accompanied by its own game level where you can see the techniques and theories in action before working through over 70 exercises to develop your own demo level. Taking you all the way from first principles to complex interactive systems in the industry standard Unreal Engine, you’ll gain the skills to implement your sound and music along with a deep transferable knowledge of principles you can apply across a range of other game development tools.